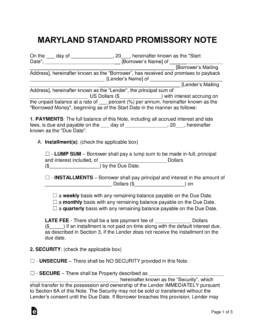 The Maryland promissory note templates are designed to serve as the platform for transactions involving the loaning of money from one party to another. The note requires the borrower of a monetary balance to reimburse the lender in the deal the original balance plus interest by a final due date. 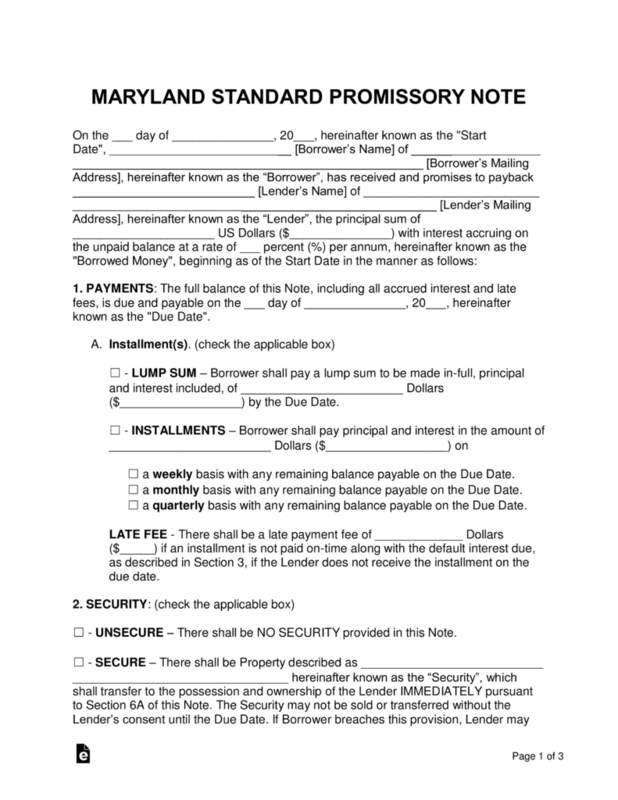 Secured Promissory Note – This version gives the lender security in the case of a default on the loaned balance. Both parties agree on an item or items that will be given to the lender if the borrower cannot reimburse the lender the due amount. Items used as security typically consist of homes, vehicles, or boats. Unsecured Promissory Note – This version puts the lender at an increased risk, as no security is present. To prevent the loss of money, the lender should screen the borrower to ensure he or she has worthy credit and/or only lend to family/friends.